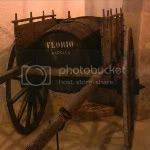 Today’s show is an audio soundseeing tour of Florio, the legendary producer of Marsala wine, in the town of Marsala, in the province of Trapani, on the far western coast of Sicily. 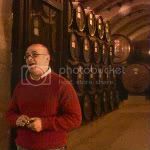 Our guide Marcello tells us about the history of this historic winery, which has been in operation since 1833, where some of the casks still have 100 year old wine in them! Listen with earbuds, since I recorded this with binaural microphones, and you’ll get the full stereo soundseeing experience.